Some consider Miami to be at the very end of the United States. At the very southernmost point of Florida, it is the closest you can get to the equator in the United States. People visit everyday, people retire to Miami, even certain basketball players will leave their hometown for four years to play there. 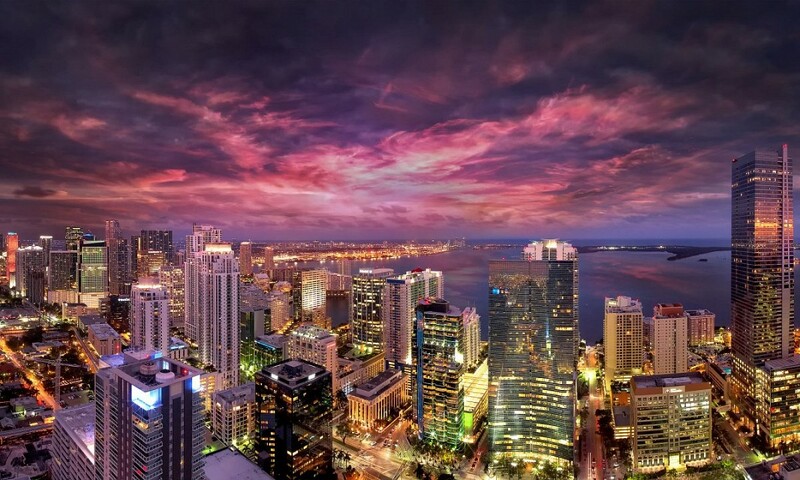 Miami may be known as “The Magic City” officially, but it is often referred to as “Vice City”. They even named a Grand Theft Auto video game after this nickname. This is because Miami has one of the hottest nightlife scenes in all of the world, not just America. There is also a large Hispanic culture in Miami as the country of Cuba is very close by. 65.8% of the residents in Miami are Hispanic while 22.3% are African American and 11.8% are Non-Hispanic Whites. For Latin flavor, Miami is the capital city. Miami, and much of the rest of Florida, was primarily a Native American territory and remained that way for nearly 2,000 years. In 1566, Spain laid claim to the territory that is now Miami. Nearly 250 years later, the United States was finally able to take control of the city and the attempted ousting of the Seminole tribe led to a war. As a great place to raise crops, Miami became more populated in the late 1800s and railroads were built to transport Americans to this area. The weather and developing industries of Miami was appealing to Americans up North that were becoming wary of cold temperatures. Since then, it has become one of the most popular cities for Northerners to retire to, and a mix of culture makes it appealing for all. We have already discussed how South Beach is one of the most popular spots in all of Miami, but there is plenty to do outside of the hotspot of Florida. If you prefer a more quiet setting with natural wonder, then you should visit the Everglades. It's home to over a dozen endangered species and can be traversed on foot as one of the United States' national parks. If you like more of a controlled natural sight, then check out Zoo Miami. It's one of the fastest growing zoos in America and has some of the most unique animals in all of the world. For those that like to visit museums, then there is plenty to do. Two of the major museums in Miami are the Museum of Science and the Children's Museum. At the Museum of Science, you can check out the research that is being done to help the endangered birds of prey, or catch a glimpse of the observatory. At the Children's Museum, you can get a hands-on look to see how things work, even how movies are made. If you are a sports buff who wants to see the newest stadium in Major League Baseball, then head to Marlins Park which offers some of the most unique settings in baseball. After every home run by the Marlins, you are treated to a moving sculpture that cost over $2 million USD to build. Also, it's the only stadium that has an aquarium behind the home plate that is visible throughout the game. 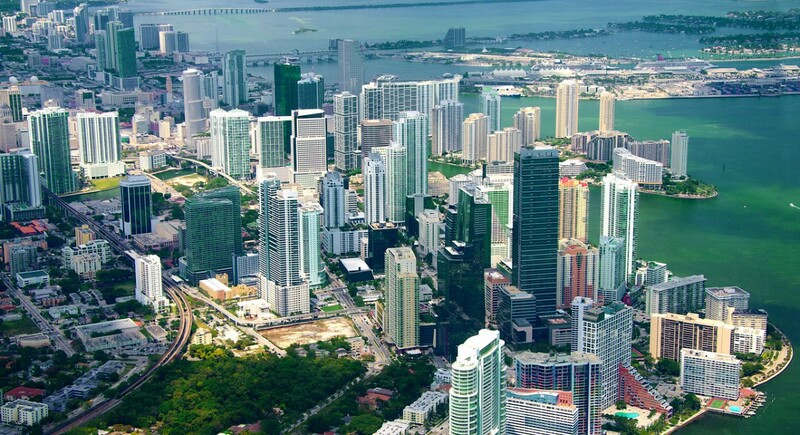 Miami has a very diverse culture, and that means that there are very diverse districts and neighborhoods as well. The one with the highest population is Little Havana. If you are in the mood for classic Spanish architecture and authentic Cuban food, this is the first place you should go. To check out the historic downtown district, head to the downtown area (known as “Downtowner” to locals) and check it out. This is also the best place in Miami to do some high-end shopping or find accommodation. The most popular spot for all tourists, however, is South Beach. No district in the United States has a greater nightlife or beach area, and there are plenty of gorgeous hotels to stay in. There is a strong Cuban population in Miami, and the city is one of the few places in the United States where you find great, authentic Cuban food. The most popular dishes in Miami are roasted fish, fried pork chops, and even gumbo. The diverse population has made Miami one of the best cities to eat in in all of the United States. If you are staying in Miami, do yourself a favor and stay in South Beach, home of some of the most iconic hotels in all of America. For starters, you have the Clay Hotel on Espanola Way and the Marlin Hotel, but the two most famous hotels sits on Ocean Drive . These are the Beacon Hotel and the Colony Hotel. The Colony is instantly recognizable as it has been featured on many different television shows, movies, and even video games. 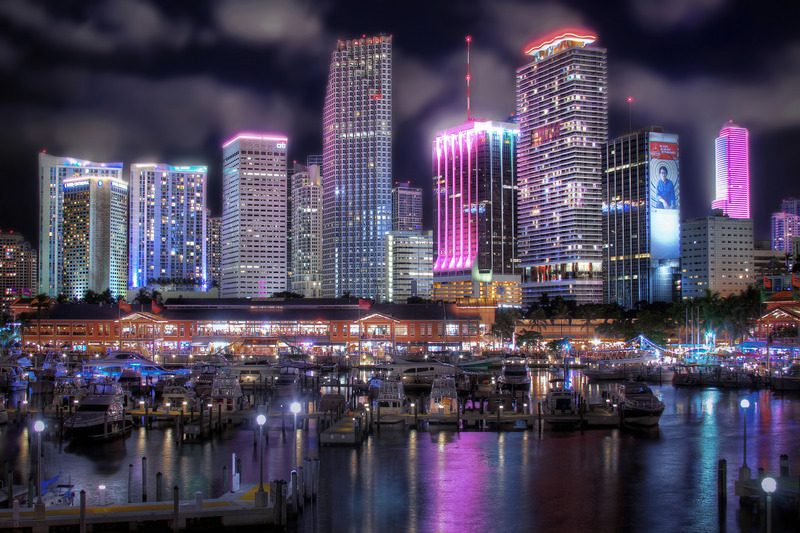 The metro area of Miami is the eighth largest in all of the United States. 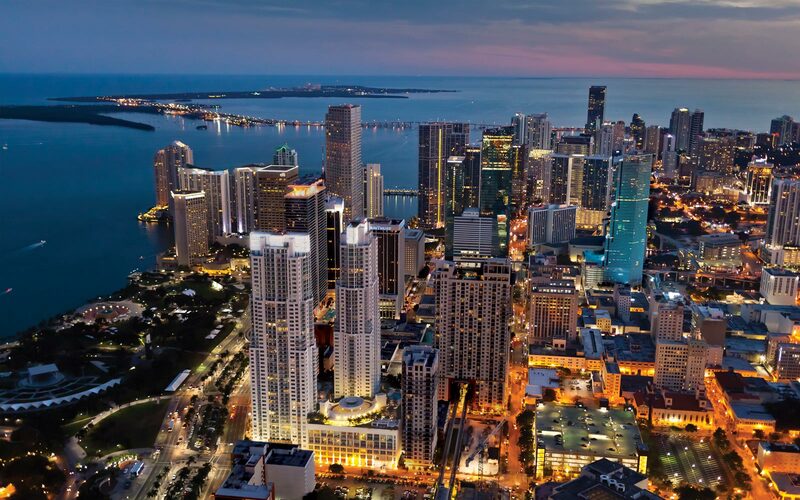 The city of Miami itself has over 400,000 residents, but there are nine other cities that have over 100,000 as the area is spread out across the metro area evenly. The largest is Hialeah with over 230,000 people. The other notable suburbs of Miami are Fort Lauderdale, Hollywood, Coral Springs, Miami Gardens, and West Palm Beach. Due to a large part of Miami’s population being retirees, the city of Miami can sometimes get a bad reputation as a sports town since the stands are not always packed for games. However, the fans that are there are very passionate and the sports scene in Miami is exciting. For starters, you have the Dolphins of the National Football League, the only team to have an undefeated season in pro football. Miami is also home to the Marlins of Major League Baseball (two time World Series Champions) and the Heat of the National Basketball Association (three time NBA Champions). You have to be careful when traveling around Miami as the crime rates can be very high in some areas. To avoid any real danger, the southwest side of the city limits are the safest. 102nd Avenue, 42nd Street, and Krome Avenue are the safest neighborhoods in the city. 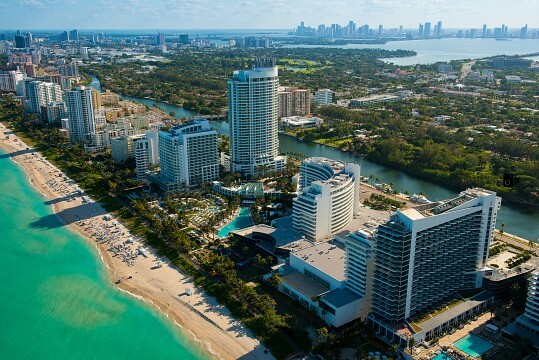 One of the safest spots is Miami Beach, which sits just outside of the city limits. It's a favorite among tourists with plenty of resorts and hotels available for those that are visiting. There is only one airport that serves the city of Miami on an international level, and that is the Miami International Airport. There are two smaller executive airports (Kentall-Tamiami Executive and Opa-locka Executive*) but these can be difficult to get into.